What is a community based platform? A community-based crowdfunding platform is designed to maximize the connections you make within your hometown. It offers specific functionality designed for local communities such as in-kind contributions, matching contributions, sponsored rewards and local mentoring and support. 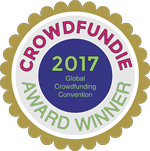 How does The Local Crowd crowdfunding platform work? Individuals or groups create fundraising campaigns that contain a specific funding goal and timeline to fund a current project. Supporters can contribute to the campaign financially and are encouraged to share the campaign with their own community and social network. Who can contribute to fund a campaign? Anyone! Contributions to project’s fundraising campaign can be made by any individual or organization inside or outside of Teton Valley. Browse campaigns and find the campaign page for the campaign that you would like to contribute to then click “Make a donation.” You will be asked for a contribution amount and credit card information. You can also contribute by telling your friends and family about a campaign that you are interested in and by spreading the word across your social networks. There is also the option to Sponsor a Reward, which allows you to place your or your business’s service or product on the campaign’s Marketplace as a reward for other campaign supporters. All major credit cards (Visa, MasterCard, American Express, Discover) can be used online. Campaigns can also raise money off-line through events in their community. Is there a minimum or maximum I can contribute? No, all donations will be accepted regardless of amount. It is recommended that you consult with your tax professional to answer this question. Does the crowdfunding platform store my credit card information? No, the crowdfunding processor does not store any payment or credit card information. How does a campaign receive its funding? Funds will be transferred to the campaign creator once the contributions are processed. The campaign teams will be able to access these funds through a special account set up when they create the campaign. When will a campaign receive funds? Campaigns will receive their funds once the funding period has ended (typically 30-45 days from the start of the funding period). What portion of my contribution goes to the project I’ve supported? 100% of the funds received by the campaign will be used for the project to which you have contributed. Each campaign has a detailed budget breakdown and a section on “use of funds” in their campaign description pages. The following credit card processing fees apply to all credit card donations and the administrative fee applies to all donations. 2.9% + $0.30 per transaction is assessed by the credit card company at the time of donation. The crowdfunding platform charges an administrative fee of 5%, which is an industry average. A portion of this is generally returned to the campaign creator as an incentive for reaching or exceeding their goal. The remainder is used to pay costs associated with hosting, administering and promoting the platform and for providing direct assistance to campaign creators. Can I share that contribution to a campaign through my social media accounts? Yes! There is a button on the donation page that you will see after a contribution is given that allows donors to share their contribution with their own social networks right from the page. You can also share the campaign’s URL directly on social media or use the share button from the campaign page. Your contribution will go only to the campaign(s) you have designated. Each campaign has a separate account. How will I know if or when the campaign I contribute to reaches its goal? You can check back on the campaign page to watch funding progress. You can also sign up for updates or follow the campaign’s social media pages for updates. You will receive an email when the campaign fundraising time has expired regardless of the campaign’s success. What happens if a campaign exceeds its specified campaign fundraising goal? Each of the campaign teams has identified a set of baseline tasks and goals in addition to a set of “stretch goals.” Should a campaign be fortunate enough to exceed its funding goal, the additional funds will be utilized to help the team reach the campaign stretch goals as identified in their campaign pages. No. We believe that campaigns should be able to keep the funds that are raised, even if the total funding goal may not have been reached. We expect each campaign team to make some progress in achieving their goals even if they are not fully funded. Campaigns are required to report to their supporters on the exact use of funds received. Can I request to make an anonymous contribution?